My name is Frank DeFreitas. For 35 years, I have provided laser and hologram production, workshops and outreach programs to the highest level of science and technology companies, institutions and educational venues (see below). I am now officially retired but I am still active "here and there" with presentations / speaking engagements during the spring and fall months. NOTE: I am no longer at my 35-year home holography studio/lab, and I am not currently receiving any visitors at my retirement residence. Between 1983 and 2016, my clients included: The Smithsonian Institution, Wash. D.C. (The Hirshhorn Museum & Ripley Education Center): Presentations (Hirshhorn) Yearly Summer Workshop Programs, referred to as the "jewel in the summer workshops crown" (Ripley; last in 2015); The Franklin Institute, Philadelphia, PA: Laser and Holography Workshop Programs; Stevens Institute of Technology: Presentations / Workshops; Liberty Science Center, NJ: Workshop Programs; The Discovery Center of Science and Technology, PA: Workshop Programs; Lehigh University Physics Dept. : Summer Workshop Programs; University of Pennsylvania Museum of Archaeology and Anthropology: Revolutionary War Solider Holography Project; MENSA: Conference Keynote Speaker (x2: 1999 and 2017); California Institute of Technology (CalTech/JPL): Diode Laser Driver; The Creation Evidence Museum of Texas; Workshops and Presentations; Northampton Community College: Workshops and Presentation; Lehigh-Carbon Community College: Workshops and Presentation; Allentown Art Museum: Holograms for Max Hess Gallery; Rodale Press, Inc.: Holograms for Robert Rodale, Book Convention and Lobby; WFMZ TV 69: Logo Hologram for Lobby; NASA / Northrop Grumman: Hologram of Space Station Freedom; Georgian Court University Physics Dept. : Workshops and Presentations; AT&T; Lucent Technologies: Holograms for Awards Ceremony; U.S. Navy Subcontractor: Drone LIDAR RGB Holographic Imaging (prototyping); Fuji Film Corp.: Workshops and Presentations for Key Employees; Dupont (Wilmington, DE): Workshop and Orientation for Holographic Materials Support Personnel; The Urban Systemic Initiative (NSF): Multi-Year Educational Programs; along with many elementary, middle and high school programs over 30+ years. National Science Foundation-funded programs; scouts; home school groups; corporate events; birthday parties; and teaching the very first online class for holography through America On Line in 1995. I am an elected member of Sigma-Pi-Sigma; the National Physics Honor Society; American Institute of Physics; for my work in laser and holography educational programs. With my early computer / analog hybrid, two-color animated laser hologram, 1985 & 1990. Celestial Navigator Star Tracking Device. Initially (1985) created by passing laser light through ground glass, the later version (1990) was created via a Linotronic 300 laser imagesetter output to film. 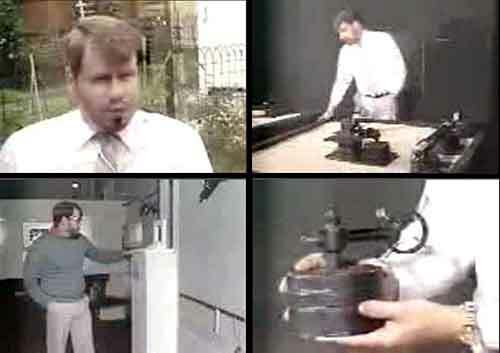 This computer-generated (CORA) film then served the same purpose as the previous 1983 ground-glass ... only with much greater precision. I was born in Camden, New Jersey in 1956 (Cooper Hospital at the foot of the Benjamin Franklin Bridge). Fortunately, living in the Philadelphia / South Jersey region placed me in a prime location for the earliest days of lasers and holography (Edmund Scientific; Franklin Institute; Metrologic Laser; Holex Corp.; more). I saw my first laser and hologram in 1968 (at the Edmund Scientific showroom store in Barrington, New Jersey), attended my first holography exhibit in 1976 (NY Museum of Holography "Through the Looking Glass" in Philadelphia, Pa at the Walnut Street Theater), designed and built my own laser and holography studio in 1983 (in Allentown, PA), and started my world-famous HoloWorld web site in 1995. I began as a kid, and after an entire lifetime the time has come to say goodbye. But for now I'll just mention that sooner or later in your own journey in holography, no matter where you are in the world, you will eventually come across "Frank DeFreitas". 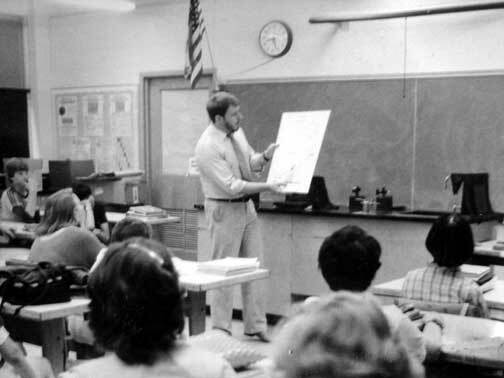 Presenting lasers and holography at a school in 1983. In 2019, I am 63 years old and I have been married for 42 years (and together for 44 years). My wife and I have 3 grown daughters, all involved in science and medicine. I have had my private studio and reference library / exhibit room in my downtown historic Allentown, PA home for 35 years. People would travel from around the world to visit, to learn, or to just say hello. Just before we moved into our retirement residence, my wife joined me in the lab, and we collaborated and produced our own hologram special projects. Our final project (2015) focused primarily on ancient Biblical archaeological artifacts that document the events recorded in the Holy Bible. My 35 years in holography were divided into 15 years part-time and 20-years full time. I was both a hologram producer and a holography instructor. My history is with traveling outreach: I would take my laser and holography educational programs on the road. Back then, one would find many outreach persons traveling from one area of the country to another, visiting schools, galleries, museums and festivals. I've presented to hundreds of thousands of people over my 30+ years. I could be in a university laser research laboratory one day, under an outdoor festival tent the next, and appearing at a kids birthday party on another. My smallest event was three people, my largest event was seventy thousand. As the saying goes, I've been "around the block" with lasers and holography in my lifetime. My "best days" in holography were the decades of the 1980's and 1990's. It was very different back then. You *had* to exhibit your work and have people come out to see it in person. Today, everything is 2D digital photos on the internet: make the hologram in the lab and then put a photo of it up on a web page. Of course, today everybody is calling everything a "hologram", so they have come up with different ways of displaying the 3D image. 99% of what is termed a "hologram" on the internet has nothing to do with holography at all. For nearly 15 years, beginning in 1983, I published a laser and holography newsletter called The Holo-Gram. It provided current news and happenings, such as upcoming exhibits, and was sent around the world to over 40 countries. In 1988, it was reviewed and recommended by SIGNAL: Communication Tools for the Information Age, a Whole Earth catalog (ISBN 0-517-57084-X). This was the latest Whole Earth Catalog written, edited, and published by Kevin Kelly (co-founder of Wired Magazine) with a foreward written by Stewart Brand (founder of Whole Earth). Being favorably reviewed in a world-wide publication such as Whole Earth Catalog helped greatly with recognition beyond my home base of Allentown, Pennsylvania. In the early days of holography, holograms could get by entirely on their own. Just the mention of "making holograms" was enough without ever having anything else to go with it. As time went on, holograms began to become more commonplace in nearly all applications, from the most scientific and technical to commercial. To counteract this, and to keep putting food on the table, I learned quickly that successful programs had to be built "around" holography. In other words, it became important to be able to have holography *do* something interesting and exciting. It was these resulting topical areas that would get the funding, not holography on its own. So I began to build projects where the project was the selling point, and the making of holograms would only be a part of the project. This is still true today in 2017. Perhaps even more so. One *has* to *do* something of value *with* holography. And, better yet, do something that no one else is doing or has yet to do. Bottom line is that making holograms just to make holograms *might* get funded this late in the game, but you'll have a much better chance at project support success by coming up with a unique application to go with it ... and focus your support requests around that. As a side note, I am one of the very few people on Earth to have their name on the surface of another heavenly body: Titan, the great moon of Saturn (Cassini / Huygens mission). My entry reads "My name is Frank DeFreitas. I create three-dimensional laser holograms on Earth". This info is contained on a CDROM in a sealed chamber inside the space craft lander, which landed safely, and is sitting on the surface of Titan to be recovered one day in the future. 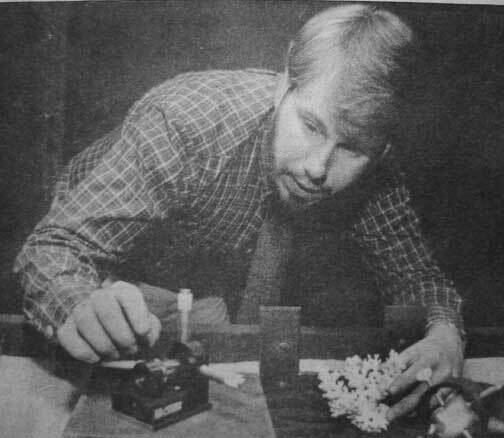 In my Allentown holography lab, 1983. Working with and demonstrating a Jodon spatial filter for a local newspaper article. Back in the late 1990's, working with my good holo friends Steve Michael and the late Sam Savage of former Bell Labs, we shook the entire field of lasers and holography by creating holograms with laser pointers and stand-alone DIY laser diode systems. We reported about it right here on this web site that you are reading now (when it was part of holoworld.com). It was such a shift in methodology that many of the 'experts' called it a farce, and said that it couldn't be done. Several of them, however, now sell diode lasers for holography. It is still reverberating today throughout the world, my resulting book, Shoebox Holography, became a science best-seller, and I continue to teach its methods. Laser diode display holography was not developed in a professional laboratory. It was developed in three private home basements. Therefore, it was (and remains) the perfect example of **trickle up** science and technology. The tremendous shift that was about to occur was revolutionary in its scope, if not its economic impact (what was once done with a $500 laser could now be done with a $5 laser). And, to this day, holography has never been the same. I want to make it absolutely clear that I do not have a college or university degree. I was, and continue to classify myself as an independent learner. Although I am not in possession of a Ph.D., I have helped several Ph.D.'s out of a laser / holography "tight spot" over the years (which, now looking back, they always seemed to get themselves into for some reason). Fact is, I have a technical education. I have never had any formal scientific training in lasers, optics or holography, and in this particular case this "lack" has worked very much in my favor. Especially when it came to innovation. My background is in printing technologies, and I am a graduate of the now defunct Philadelphia School of Printing and Advertising (with a focus on typography, typesetting, graphic design, color and prepress). This was the era where light- based technologies were taking over the printing industry. Examples would be hot-metal typesetting (think Linotype) being replaced by phototypesetting (think Compugraphic 7600) via xeon flash lamp strobe. LASER raster imagesetters (such as Linotronic 300) were being researched. Never underestimate the power of print, whether on paper or electronic. After all, if you have any education at all, you can thank print for it. How else do you think you learned what you learned?! Print is the most influential and powerful human-created force in the world, and it is where I have always wanted to be. Not surprisingly, it is where I am, since I consider lasers and holography to be future forms of communication technology ... not only a high-tech, futuristic extension of what we already have, but also bold new forms of communication. I have designed and built my own lasers, optical equipment, and have formulated my own processing chemistry and production methods. My work is truly, and literally, my own. 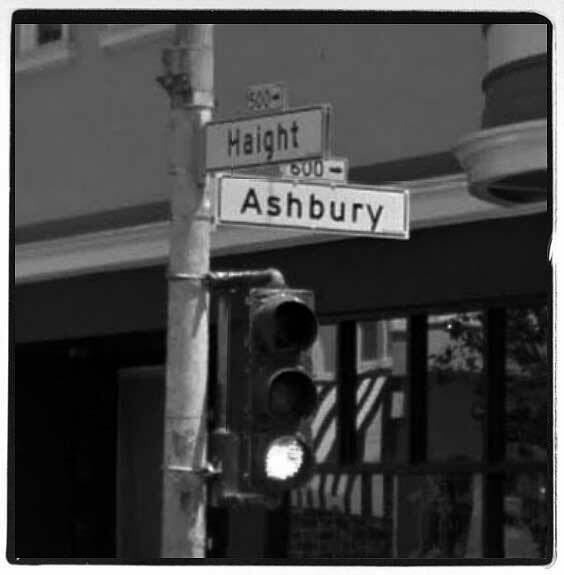 The first hologram I ever sold, a multi-color reflection hologram titled "Celestial Navigator", was purchased by Gary Zellerbach of Holos Gallery, located in the Haight-Ashbury district of San Francisco (1792 Haight Street). 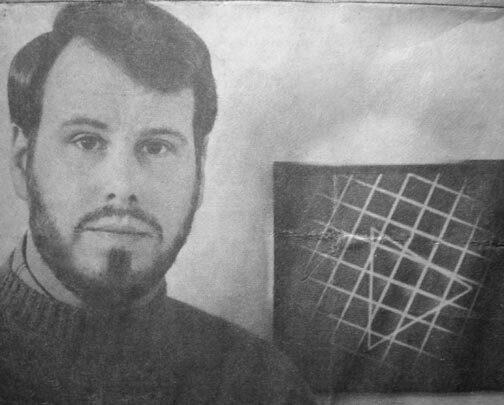 Shortly thereafter, my Holo-Gram newsletter would be listed, reviewed and recommended by Whole Earth Catalog: Signal; thanks to Kevin Kelly and Stewart Brand. Long ago and far away! As a member of the journal Leonardo (MIT Press), holography issue glossary team (vol. 22, no. 3/4), I wrote the definition for the terms holography and hologram (along with other laser and holography related definitions). This was very influential throughout education. The definition of holography is as follows: "The process of recording a reflected (or calculated*) optical wavefront off the surface of an object that, upon reconstruction, yields a high-fidelity, three-dimensional image that contains all the spatial information of the object recorded." (*calculated has been added to include today's digital rendering technologies). I currently oversee and maintain an archive of the history of lasers and holography, which I began in 1976 and call "Antiquarian Holographica". I highly respect the developmental years of lasers and holography, and I am an advocate for keeping the early practices, equipment, techniques and print media (ephemera) as part of its living history. The collection consists of lasers, stereoscopes and views, cameras and projectors, holograms, optics, laboratory equipment, lenticulars, posters, books, advertising, exhibit catalogs, postcards, brochures, newsletters, patents, documents, prototypes, letters, business cards, magazines, press releases, invitations, newspaper articles, production files, announcements, letterheads, industrial catalogs, envelopes, contracts, postage stamps, autographs, and many other examples documenting the history of 3D and holography. Although retired, whenever I do manage to make a hologram today (I now have a small, portable laser system), I continue to practice what could be considered "classical" holography. I like to continue to fine tune the techniques used during holography's early decades of the 1960's, 1970's and 1980's. Gas tube lasers (sometimes diode). Gelatin silver emulsions (sometimes photopolymer). Darkroom chemistry. I do not make it a practice of moving on to the "next big thing" each time something else comes along ... which, in practice, only leads to scratching the surface over and over. Instead, I continue to hone my skills to a greater depth of practice and understanding, with classical methodologies refined, and sometimes, redefined. Although lasers and holography can be distilled to their most basic form as science (primarily physics), this physical sciences reference is of no more value than that of the very early printing press or linotype (both of which would fall under the heading of mechanical physics). Neither the printing press nor the linotype machine would be an initial thought if one were to think physics / science today. Likewise, the optical mathematics of a simple camera system would fill a volume, yet many take breathtaking photographs whether comprehending the formulae, or not at all. The same will hold true for lasers and holography as time moves on. Both will one day be thought of strictly (and simply) as tools to get the job done: lasers to make the holograms, and holograms to provide the images. I know this because I am already there where others will one day follow. I was not professionally trained as a scientist. Nor was I professionally trained as an artist. I make holograms, therefore I am a holographer. 1980's video by now President of ABC Television Stations Group Rebecca Campbell. (Above Photo Montage): Rebecca Campbell, President of ABC Television Stations Group in NYC, got her start here in Allentown (she was Rebecca Funk at WFMZ TV 69 back then). At the beginning of her career, one of the first stories she produced was showcasing my work with lasers and holograms for a local TV "magazine" called Cover to Cover. I introduced her to the larger holography sphere at the time, and we traveled in to NYC with a crew to interview then director of the New York Museum of Holography, Posy Jackson, and holographic artist Dan Schweitzer. I also suggested the background music in the video (Brian Eno, Apollo, which she used in her televised production). Little did anyone know at the time (including me) that she would become one of the most powerful media executives in the world today. She was great to work with from what I remember from 30+ years ago. In 1997, I began broadcasting a radio show online: HoloTalk. This was very early for this type of activity online. In the early days, HoloTalk was streamed on the web with the majority of people having either 14.4k or 28.8k dial-up modems. On this show, I interviewed professional, amateur and hobbyist holographers from around the world. It was also a key player in getting the word out about laser pointer and diode laser holography, beginning in 1999. The arrival of "podcasting" and sites such as YouTube made media broadcasting on the net a common occurrence for just about everyone. HoloTalk was ahead of its time, and brought news and information about lasers and holograms to many underserved areas of the world. In 2008, it was recognized and awarded from the International Holography Fund. There is a lot of attention on hologram-based optical microscopy online. 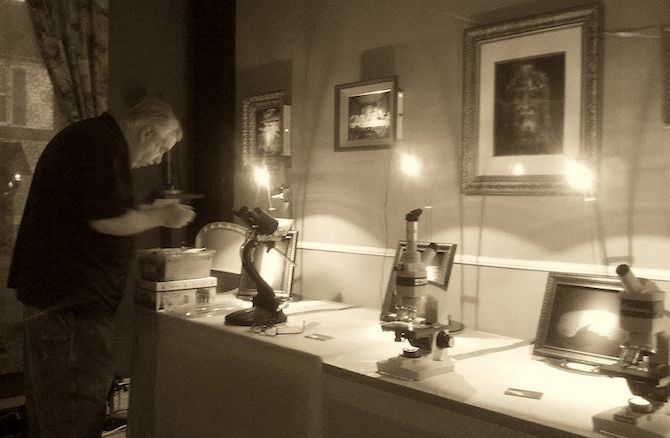 My own work over the past few years was to combine microscopes and traditional holographic imaging. In other words: 3D laser holographic images under microscopes, and magnification optics built into micro holograms. While browsing through my historical archives, there was not a great deal of information on the convergence of the two. So I set out to do a few proof-of-concept projects. The result of these independent investigations eventually brought an invitation to present to the New York Microscopical Society in October of 2017. It was an honor to be a featured presenter to such a prestigious group. In 2010, I gave repentance before God for my life as a sinner. I turned my life over to, and had my life renewed by, the blood of my Lord and Saviour Jesus Christ. Don't misunderstand ... I am still a sinner, we all are, and one day we still will have to give account of our entire lives before God. That doesn't change. However, due to God's Grace and Mercy through Christ's sacrifice on the Cross at Calvary, I will not experience eternal separation from him in the fires of Hell. Perhaps most importantly, my decision and subsequent regeneration was due to my searching for, opening my mind to, and finding, the light of Truth. And I have found that the Truth is in Jesus Christ alone. Shortly thereafter (2012), while in prayer and asking to serve ("Here am I; send me." Isaiah 6:8 KJV), I was given a vision and calling. Utilizing my life-long, God-given talents with lasers and holography, I am called to research laser and holographic communication technology for the future of Christianity and the Holy Bible ... not only on earth, but also for humanity's future in space. The objectives for my Christian based laser and holography work are four fold: (1) to help reach those persons in areas of the world where more traditional evangelistic methods are dangerous, even life threatening (stealth laser technology); (2) to research archival / preservation recording methods for Scripture and historical artifacts (3D laser holograms); (3) to one day communicate the Gospel to, from, and between human colonies on the Moon, Mars and beyond (free space laser communication); (4) to prepare youth for future evangelism, utilizing (and further developing) these new technologies. Even if all I do is provide the catalyst for other development by someone else, it is my honor to be in His service and to do so. After 63 years of my life, with accumulated learning and much human experience, I can say that within the last decade I have emerged as an old school, conservative; biblical inerrancy literalist. I am opposed to communism / modernism / relativism. I am a steadfast and tireless "Victory in Christ" activist. 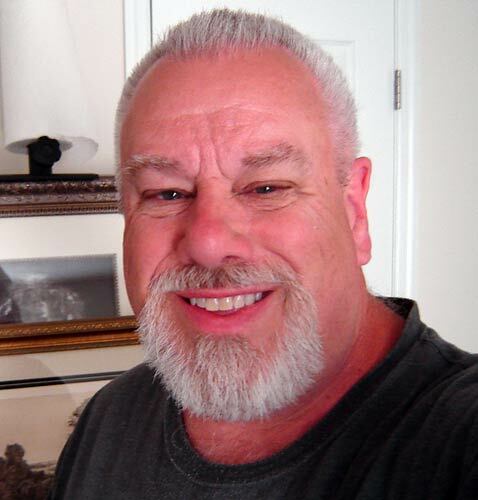 This is me, taken July 2018, living the "someday" that we all dream about: retirement. My own personal philosophy / quote is this: "Science is the study of the physical manifestations of God in action". I am a staunch young-earth creationist. I historically, scientifically, and faithfully believe in the biblical account of creation as documented in the first book of Moses, Genesis. I believe in a literal, six-day creation by God that took place circa 6,000 years ago. I do not believe that REAL science and the Word of God are at odds with each other at all. With true biblical scientific inquiry, we gain knowledge and wisdom about God's creation, and as a result, grow closer in our walk with Him. I find the research behind biblical creation extraordinarily exciting. Let me be perfectly clear: science needs to catch up with the Word of God . . . not the other way around! The Holy Bible is the foundation for all true scientific research and discovery. It is the field book to the exploration of God's universe. And, yes, I have already heard all of the reasons why those in opposition feel and think that the Holy Bible, and Genesis in particular, shouldn't be. I have also heard reasonable and satisfactory rebuttals for each and every biblical criticism. My own personal rebuttal is simple and short: "If it contradicts God's Word, it's wrong." 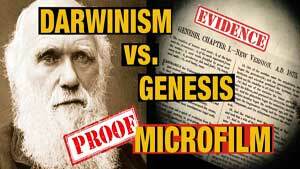 I am absolutely convinced that modern, so-called "science" has been hijacked by the great liar and deceiver, satan, and is being utilized as a vehicle to destroy God's Truth. Space is not the final frontier, eternity is. Therefore, when all is said and done, the bottom line is this: it is *your choice* to believe or not believe. Ultimately -- and with absolute certainty -- we can all agree on this: no one has ever, or will ever, escape finding out. It is just a matter of time. Tick, tock . . . Happy New Year to my dear readers. I know that many of you have been following my work with lasers and holography for decades. Others are new. Welcome. I am adjusting to the pace of full retirement: halcyon days! I continue to spend my time reading, writing, walking, cooking, and feeding a never ending coterie of little friends that briefly visit on my terrace. One such friend is "Buddy". He is a cardinal that actually calls for me to come out. When I go out, he flies right down next to me, and enjoys the peanut treat that I have for him. My terrace directly overlooks a 142 acre arboretum and bird sanctuary. Relaxing in my chair, I can see the water of a small waterfall and brook. The brook leads to a pond that is home to many seasonal ducks, geese and herons. Visiting grandchildren give me a sense of awe and hope. Our now-grown daughters are my pride and joy (oldest will be 40 this year!). Me and Deb continue (still) to ponder just where we want to fix our final, permanent roots. But what is "permanent" anyway? Nothing. Except for God's love and eternity. I give lectures and demonstrations in the spring and fall months. I just finished a series for fall 2018, and I'm looking forward to another series coming up in spring 2019 (Lord willing). I'm thankful for every new day of continued good health and spirits. I wish you a wonderful year in 2019.